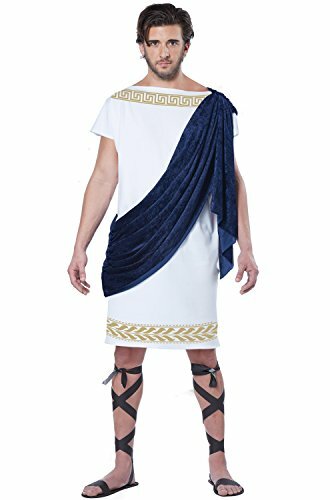 Whether you're discussing philosophy or building an empire this season, our amazing White Toga costume for men is the perfect way to go Greek this holiday! Transform into a learned and wise philosopher or citizen of the Greek or Roman Empire and impress all your friends and family with your wit and wisdom. This comfortable and airy outfit is a great choice for those seeking simple yet comfortable designs this holiday. 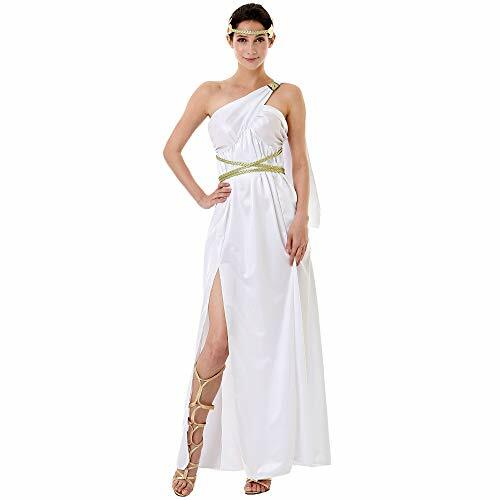 Featuring a short toga with drape styling, perfect for any design you'd like this year. So take up the sword or scroll this season, the future of the holiday is yours! Includes robe with drape and 3D head wreath. Tunic will accommodate up to a 56 chest and measures approximately 59 inches long from the shoulder. Sash is 42 inches long. Tunic ties at the neck. Head wreath is made of green leaves painted gold for a more realistic look on a wire band. Will work well for Cesar or Senators. Available in sizes standard large 42-44. Made from 100% Polyester Exclusive of Trim. Sandals not included. 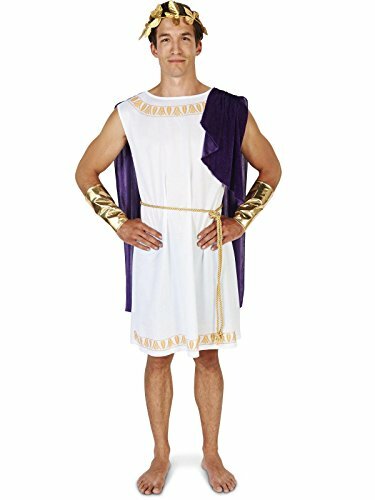 This god of wine Dionysus costume for men includes a full-length robe with purple drape and a head wreath. The Greek god costume comes in adult size Standard.